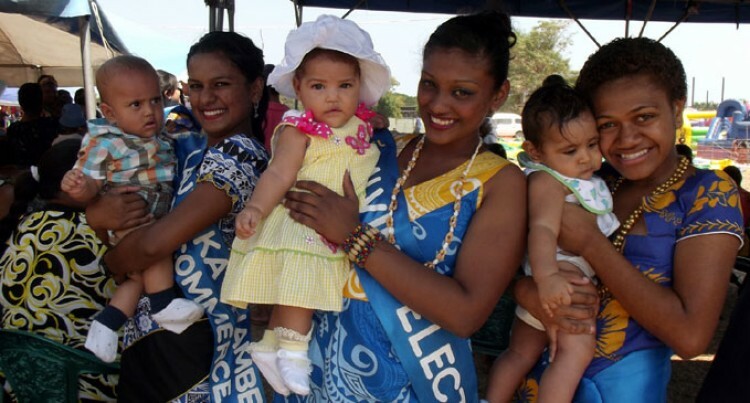 Ninety babies took part in the 2014 TFL Sugar Festival Baby Show at the carnival ground in Lautoka yesterday. The show’s administration officer, Anita Raj said it attracted a good number of mothers and babies in the Sugar City. “The turnout today shows the popularity of the show amongst families who brought in their babies from all over Lautoka. “This is one show that people look forward to in the Sugar Festival. The contest is also about sharing experiences amongst parents and celebrating the lives of our future generation,” she said. She said compared to previous years, this year’s show was bigger and better. A team from the Maternal Child Clinic of the Lautoka Health Centre helped with the judging and queen contestants presented prizes to the winners. The show was sponsored by Johnson and Johnson which provided baby products and toys as prizes.